Diablo III is a game that just keeps on giving. 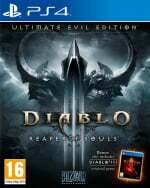 Ever since it launched on PlayStation 4 back in 2014, developer Blizzard has been tweaking and adding to the title on a regular basis, enticing players to dive back into the action role-playing game in the process. 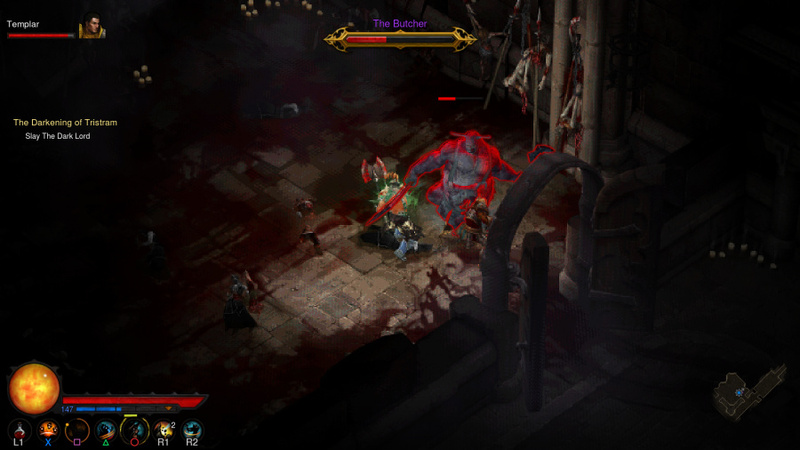 The studio's latest attempt to reel in both new and old blood is the so-called anniversary update - a patch that gives players access to a new 16-floor dungeon that's based upon the original Diablo, which has just turned 20 years old. Can't find the anniversary dungeon? We wrote a quick little guide through here. Known as 'The Darkening of Tristram', the newly added event only lasts until the end of the month, but it'll apparently be back at the same time next year and beyond. 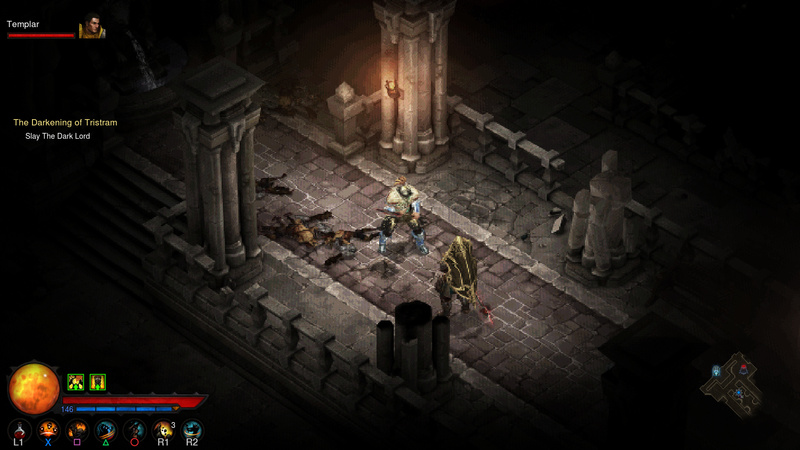 The dungeon itself is made up of assets from Diablo III - they're just arranged in such a way that the environments resemble the first game. Likewise, the enemies that you'll face are all taken from the third title - they're just renamed and recoloured. That said, some of them do possess abilities found in the original Diablo. The big difference here, though, is that as soon as you step through the portal to ye olde Tristram, the game adopts a pixelated visual filter. It's a simple but effective touch, one that makes the whole dungeon give off that unmistakable 90s PC feel. What's more, your movement becomes restricted to just eight directions, again pushing that retro vibe. Both changes are little more than gimmicks, but players who are familiar with the original Diablo will no doubt appreciate the effort. However, aside from the skin deep retro reworkings, this is still Diablo III. Gameplay-wise, nothing's changed - you'll still be carving your way through hordes of enemies, seeking out glowing treasure chests, and scrapping useless loot like there's no tomorrow. In other words, don't expect any drastic anniversary alterations to the third game's formula. Speaking of loot, the anniversary dungeon does offer a few items here and there, but playing through it as a max level character, we found very little of use. As such, it might be worth birthing a new hero in order to squeeze the most fun out of this particular event - especially since you can rampage through the dungeon in around an hour. It's also worth mentioning that there are a handful of secrets to discover as you explore, from optional bosses to unmarked quests. Some of them are suitably daft while others may give fans something to think about. All in all, the anniversary dungeon is a pleasant gesture from Blizzard, and provides a reasonable excuse to dive back into the hellish depths of Diablo III. It doesn't offer veteran characters much in the way of reward, but the nostalgia factor is there, and as part of a free update, it's a good way to kill a couple of hours. Have you delved into Diablo III's anniversary dungeon? Continue your crusade against evil in the comments section below. I enjoyed it, although I played through it with my high level character twice and found nothing of use. The soundtrack was neat, would like them to use some of those songs in the rest of the game. Not sure I'll be bothered to run it with a new character to pick up all the extras. I am also a bit bummed that there is no big expansion planned. I'd happily put down another £20 or whatever for another act to go with the new Necromancer class. @kyleforrester87 If you run it with a new character you get a special pet and a trophy If you are into that. @kyleforrester87 - I would gladly pay for a new expansion for D3. I enjoy these little updates but some meaty content would be awesome. I hope they at least throw in some new trophies for the Necromancer class. I pay for a diablo 1 remake dlc in diablo 3. Story wise diablo 1 is way better than 3. @Splat There's is new trophy for the Anniversary Dungeon. @Tasuki - I don't think so. I'm still at 100% and haven't even finished the Dungeon. @Splat I read that if you take a new character in you get an item and a trophy for it. I haven't tried it myself yet so I can't confirm. @Tasuki You get an in-game achievement, or "challenge", as the game likes to call them. There's no actual PSN trophy for completing it though. I did it anyway, because I'm a bit of a completionist when it comes to in-game events. I blame WoW for that. @Gatatog Ah ok, I gotcha ya thanks for clearing that up. Yeah WoW did that to me too.